Horm stools are truly versatile—most of them are used for seating while doubling as end tables or coffee tables. 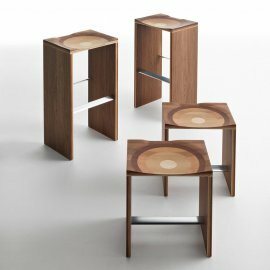 For the truly high stools, these are also great for either home or commercial use. The wide range of designs are great for either domestic or public environment. Italian designers are skilled with their hands so expect some hand-woven rattan stools. There are also padded stools and those made of wood or marble. There are so many designs to choose from that you are bound to find one—or a lot—that would perfectly match your interiors.